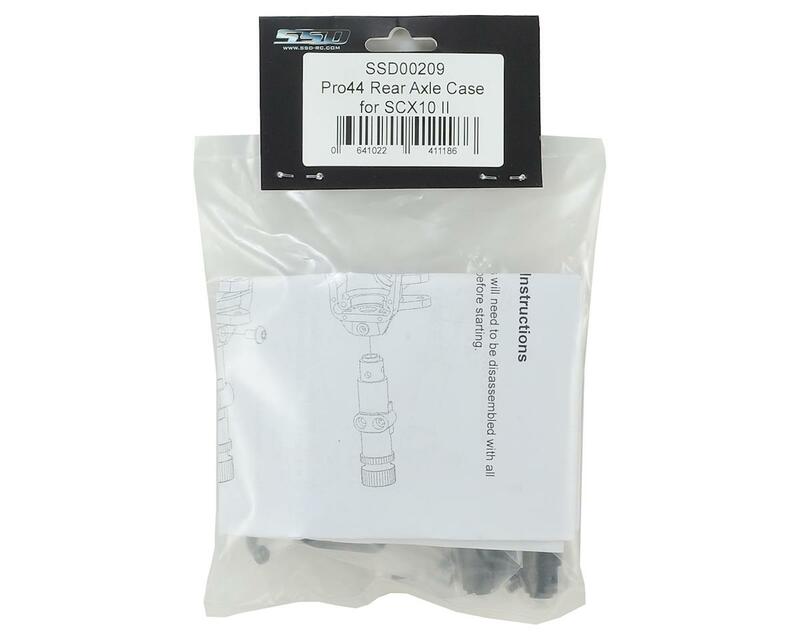 The SSD SCX10 II Pro44 Rear Axle Case is the first of its kind. A hybrid design featuring a plastic center pumpkin, with heavy metal axle tubes, this axle weighs in at 100 grams for just the axle assembly alone and will help to increase unsprung weight for increased stability and improved overall performance. 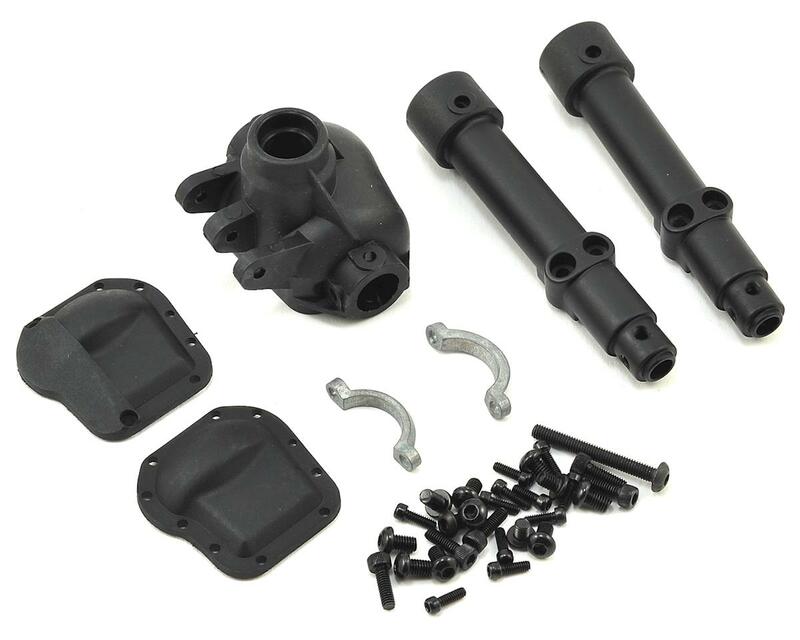 It is a direct upgrade for the AR44 axle housing, and eliminates the rear lockouts for a more scale appearance. Very nice scale axles. They look amazing on my LC 80 SCX2. Easy installed, great quality, fit an finish. They are a steal for the money!